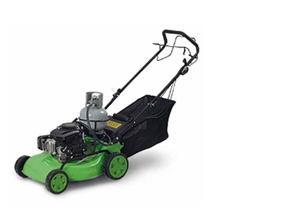 Lawn mowers are ground care equipment used to cut grass. They are produced in varying models and sizes to suit different domestic and commercial needs. Domestic mowers are traditionally powered by gasoline (petrol) whilst electric mowers also rose to prominence in more recent years (corded and cordless models). 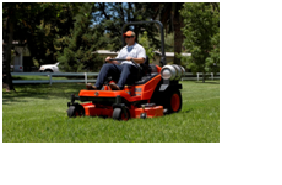 LPG mowers however are now also becoming increasigly available in various sizes and manufacturer models. Zero-turn (ZTR) riding mowers are the most popular mowers, however many manufacturers also offer walk-behind and stand-on options. 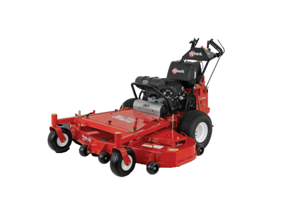 ZTR mowers drive faster than other models and can pivot 180 degrees without leaving a circle of uncut grass. LPG’s high octane rating and low carbon and oil contamination result in reduced maintenance costs and longer engine life. 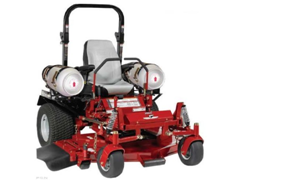 Conversion kits are also available that enable gasoline-fueled mowers to run on LPG / propane. 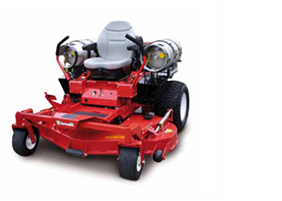 Specific models feature new Electronic fuel injection (EFI) engines which significantly improve the runtime and operating performance of the mower. The closed-loop EFI system also optimizes engine settings in real time based on fuel, altitude, and air quality measurements to maximize performance and efficiency, minimize emissions and eliminate carburetor-related hassles for the life of the engine. 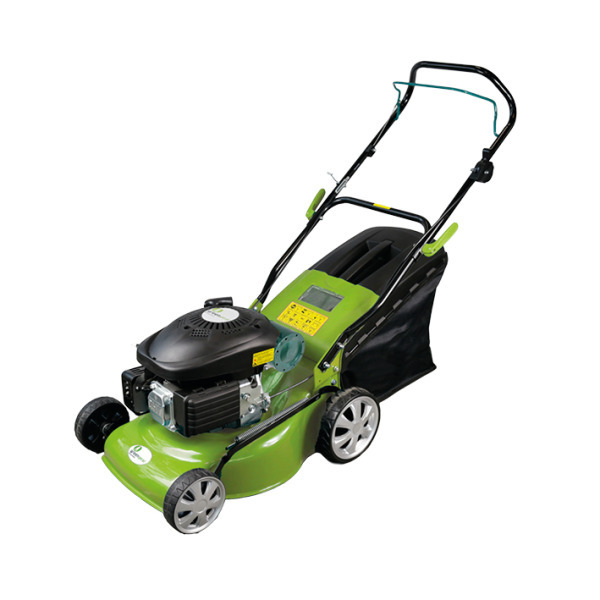 Some other models (notably the eco-mower from the Cavagna's Greengear range) offer LPG cartridge option. Older gasoline lawn mowers running for 1 hour may produce about the same amount of smog-forming emissions as 40 new cars running for the same time. Many US cities have banned the use of commercial mowers before 1 p.m. on ‘Ozone action days’. LPG provides nearly 50% reduction in greenhouse gas emissions and 80% reduction in carbon monoxide compared to conventional gasoline. It also facilitates a significant reduction in other polluting emissions. On “ozone action days”, the use of LPG powered lawnmowers is permitted, this highlights the clear superiority of LPG as a fueling alternative. 17 million gallons of fuel, mostly gasoline, are spilled each year while refueling lawn equipment. LPG provides better lawn protection. Gasoline spills damage the lawn and seep into the earth. The LPG refueling process is simple, practical (a simple LPG cylinder substitution) whilst minimizing spillages as well as downtime. No more dead grass spots on lawns. LPG can be up to 60% cheaper than gasoline or diesel fuels. It also allows savings of up to 70% on overall running costs when compared to a traditionally fueled gasoline lawn mower. These savings are higher by the fact refueling spillages are eliminated – lowering the risk of pilferage, contamination or fuel expiration due to prolonged conservation. Fuelling with LPG not only preserves the environment but is extremely cost effective. - They are easy to handle (self-propelled) and to operate. - Refueling infrastructure can be cost-effectively developed on-site for commercial operations. Reduced costs, environmental benefits prove crucial for Sarasota’s Greenscape Services. The lower cost of propane and improved sustainability resonate for Chicago’s Competitive Lawn Service, Inc.